We are excited to let you know that we will be opening a second fitness studio located at 500 Oriole Parkway in Toronto, just a few minutes away from our current location. Our new studio space will be dedicated to offering an expanded selection of Group Training Classes, open to people of all ages, all shapes and sizes. Whether you are new to fitness or are very experienced you will find a class that suits you. 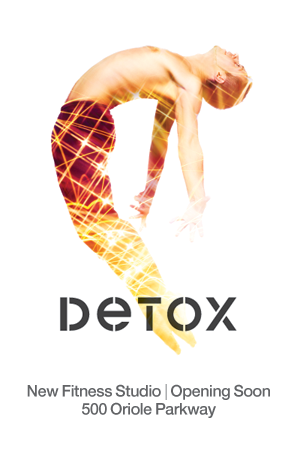 At Detox we believe that fitness should be open to everyone!